You will follow a series of steps to create your project. Learn some basic functions of Hyperstudio, so that you are able to plan your models. Plan ways you could model the topic. For example, showing the eruption of a volcano. To complete this unit we're going to review our Hyperstudio projects. Use it to honestly evaluate your groups teamwork, and your contribution to your group. 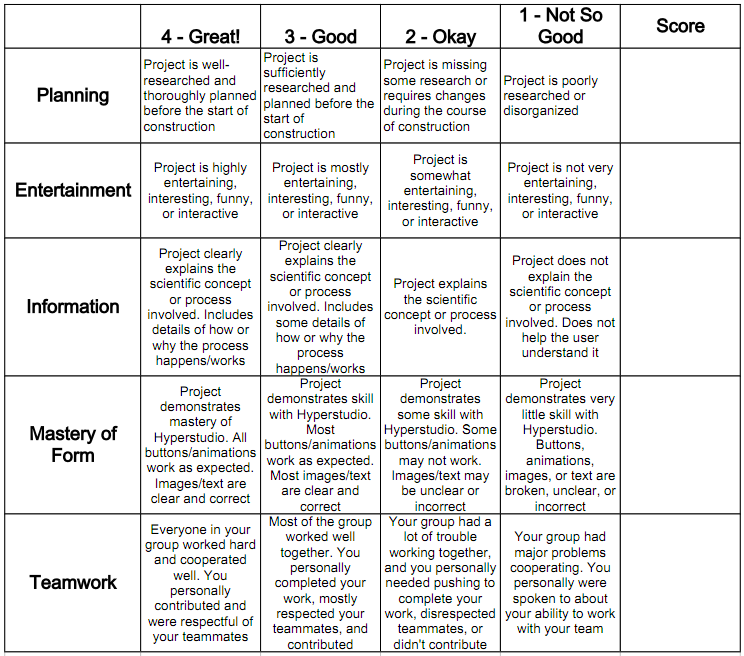 Be sure to follow the Rubric below when scoring your classmates' work.